This itinerary is for your inspiration and can be customized based on your individual interests. Interested in this trip? Contact a Destination Specialist at Toll Free USA: 800-701-4278 or click on the Ask About This Trip button. Arrive in Buenos Aires, Argentina. Clear Immigration and Customs. Outside Customs, you are met by a representative. He/She will be holding a sign displaying either the words “Alluring Americas” or your name. You will then be transferred to your hotel. Your room will be ready for immediate occupancy. The remainder of your day is at leisure. Buenos Aires is a city of contrasts with a variegated heritage that is reflected at every corner, creating a unique style. In this cosmopolitan city, the glamour and elegance of its European roots are interwoven with its undeniable Latin American essence. As a center of intense cultural activity, Buenos Aires offers the traveler innumerable opportunities for entertainment, visiting museums and historical sites, enjoying the best restaurants and traditional coffee houses and delightful shopping at the most important boutiques, antique shops, and art galleries. Enjoy an exclusive Asado experience with historical anecdotes, followed by a private tango lesson. This evening, transportation is included to take you to/from a restaurant of your choice for dinner. We will assist with setting up dining reservations. Rincon de Amigos Parilla was created by Oswaldo and Betty. Oswaldo is a Maestro Asador that has been doing Asados for many famous people and political persons. Betty is an IAG graduate who loves to cook and entertain guess like if they were her own family. They designed this experience as a complete dining experience filled with historical anecdotes about the city and Caballito neighborhood were their majestic house is located. You will learn how to light up the parrilla (Argentine grill) and help prepare the salad back in a gorgeous deck of this private home. 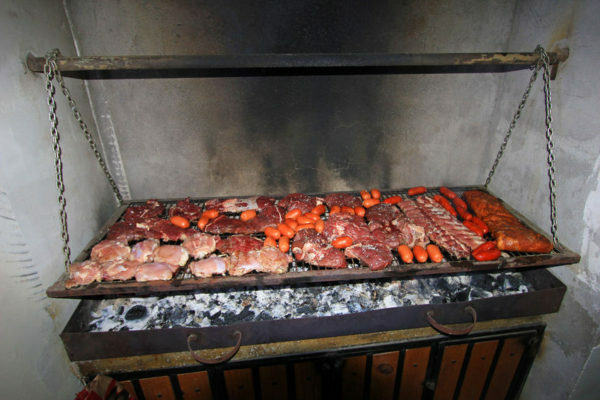 And you’ll discover how important the weekend family asado tradition is to local culture and all about the old Argentine traditions and customs that are still observed today. After your Asado experience, enjoy a private tango lesson at La Mariposita. When you are in Buenos Aires, do not miss the chance to learn the Argentine Tango! In just 90 minutes, you will get a feel for the music and popular dance, developed in the barrios of Buenos Aires, as you listen to its rhythms and learn the basic steps. Where better to perfect the passionate dance moves than in the city that made tango world famous? When you arrive at the dance studio in Buenos Aires, meet your experienced instructor who will teach you the musical and technical aspects of tango, which is based on walking with your partner across the floor at the appropriate speed, pausing at dramatic moments to express the passion and emotion of the dance. First, listen to the musical rhythms of the accordion and other instruments, which set the mood and tempo of the dance. Next, learn the proper way to begin, forming the Argentine-style ‘close embrace’ with the lead dancer and follower connecting chest-to-chest. Then, practice some basic steps across the wooden dance floor as you catch your own reflection in the mirror. Whether you are a beginner or you have some prior dance training, you will appreciate the simplicity and elegance of the graceful movements, and experience a memorable part of authentic Argentinean culture. Plus, with a private lesson, you can be sure you will receive attentive instruction. Experience the natural beauty of the Paraná River Delta, sailing from Puerto Madero across the Rio de la Plata in a modern and comfortable boat. Discover the secrets of the Rio de la Plata, the widest river in the world, on this boat tour. The beautiful landscape of its northern banks allows you to enjoy a beautiful and romantic view of the city and to witness the stunning sceneries where one of the largest urban centers of South America transforms itself into a stunning natural reservoir. Once you enter the Tigre Delta from the Rio de la Plata, you will be introduced to the paradise and picturesque landscapes made up of hundreds of unspoiled streams and small rivers dotted by inhabited islands. As you navigate through the canals of the delta, one of the largest in the world, discover how the inhabitants of the delta turned it from a swampy area into a developed region with grass paths and canals of fresh water. Pass yacht clubs, waterfront houses on stilts, a market, and the house and museum of former Argentina president Sarmiento, who encouraged people to make their homes here. The boat trip ends upon arrival at Tigre’s port. In Tigre, you will enjoy an included lunch at Vivanco Restaurant and a visit to the Puerto de Frutos (Fruit Port). It is a lively and popular spot where you will have some time to take photos and walk around). Make a stop in San Isidro on your return drive to Buenos Aires. 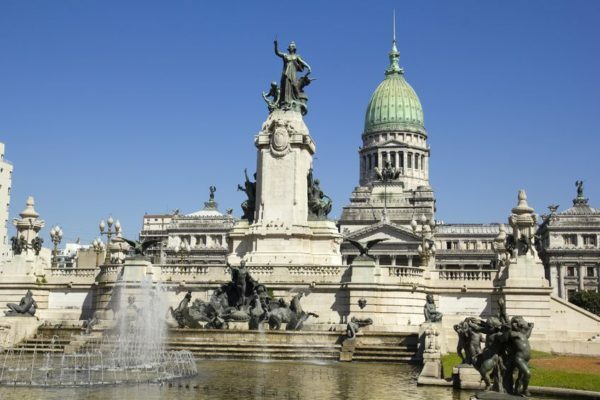 You will visit its historic district, admiring landmarks such as the presidential residence in Olivos, the River Plate soccer stadium “El Monumental,” and Libertador Avenue. You will be transferred to the airport for your flight to Ushuaia. Arrival in Ushuaia. Outside of the baggage claim area, you will be met by our representative. He/She will be holding a sign with your name on it. You will then be transferred to your hotel. Ushuaia is considered the southernmost city in the world, placed at El Martial mountain chain, and overlooking the Ushuaia Bay, the Navarino and Hose Islands (Chile). Ice-capped jagged peaks, panoramic views of Beagle Channel and a dash of local legend will captivate you. 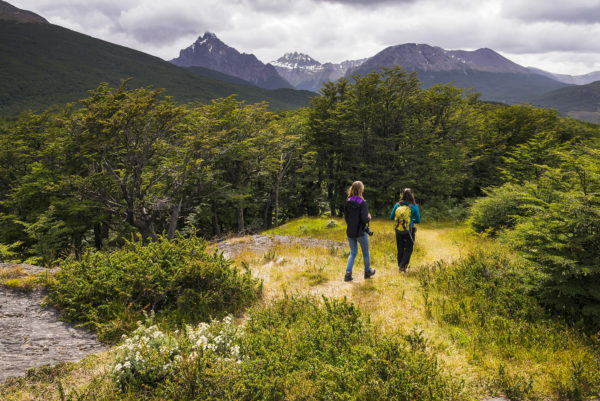 Arakur Ushuaia is the starting point for the trails that run through Reserva Natural Cerro Alarkén, an area covering more than 100 hectares (247 acres) devoted to the preservation of native forests of lengas, ñires and coihues, and of various species of flora and fauna typical of the region. The natural viewpoint at the top of Mount Alarkén offers an extraordinary scenic overlook of the Ushuaia Bay, the Martial mountain ridges, Mount Vinciguerra and its Glacier, the Andorra and Río Chico Valleys, mounts Cortés, Olivia and Cinco Hermanos, and the Beagle Channel. Within the Natural Reserve, you can enjoy native forests of lenga, ñire and coihue trees, hiking trails, wildlife watching, more than 1 km (0,62 miles) of coastline along Arroyo Grande and a natural scenic overlook from the summit of Mount Alarkén. Enjoy a full day Tierra del Fuego Trekking & Canoeing experience. After pickup, travel to Tierra del Fuego National Park with an outdoors expert at the helm. Arrive at Bahia Ensenada (Ensenada Bay) to appreciate gorgeous views of the Beagle Channel before setting out on your leisurely hike on one of two local trails. Trek on Pampa Alta or Senda Costera, depending on your guide’s recommendation, the conditions that day and the group’s skill level and interests. The 4-mile (8-km) Senda Costera winds along the coast for approximately 3 hours, while Pampa Alta is a 3-mile (5-km) path that offers bird watching, beautiful alpine views and takes about 2 hours. 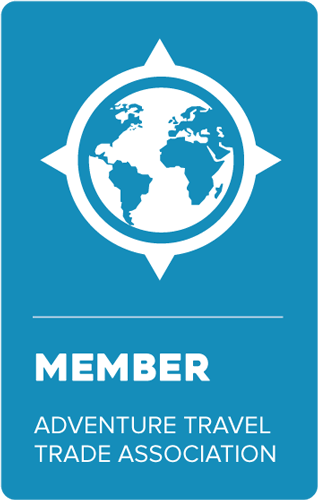 Learn about nature, geography, and wildlife from your guide as you walk through this diverse area. Look out for ancient Yámanas settlements and the native Antarctic beech trees. Arrive at Lago Roca (Roca Lake) in time for a picnic lunch in the forest. When lunch is finished, prepare for a 1 ½ hour scenic canoe ride in the Lapataia River, led by your guide and suitable for all skill levels. End up at the remote Lapataia Bay and the Beagle Channel, which both host abundant bird life such as geese, ducks, and plovers. Finish your adventure here, amid the ‘end of the world’ views in this pristine bay surrounded by dramatic mountains and lush forest. You will then be driven back to your hotel. Enjoy a full day Gable Island, Haberton Ranch and Penguin Colony excursion. This program is a beautiful journey into the almost uninhabited, peaceful location of the first “estancia” in Tierra del Fuego: Harberton Ranch. Gable Island is the tour for those who arrive in Ushuaia searching for the world’s end. Away from the tourist-crowded areas, and in the middle of the Beagle Channel, this place is recommended worldwide by word-of-mouth. We leave Ushuaia Eastbound along National Route No. 3 and Route “J”. Once at Harberton Ranch, we visit the Marine Mammal Museum “Acatushún”, and the surroundings of one of the first white men settlements in Tierra del Fuego. Take a boat ride to Martillo Island on Beagle Channel. Martillo Island is home to an incredible colony of Gentoo and Magellanics penguins between September and April. The rookery hosts around 1000 nests and is one of the three Magellanic penguin rookeries in Tierra del Fuego. There is also a small colony of 9 breeding couples of gentoo penguins (Pygocelis Papua) the only one in South America. Enjoy a 1-hour guided walk among the penguins. It’s truly an unique experience. The penguins share the habitat with other birds, such as skúas, petrels, cormorants, vultures and South American terns. Navigation on the motorboat continues up to the main attraction of the day: the enormous Gable Island, where lunch with a good Patagonian wine, soft drink and mineral water await. 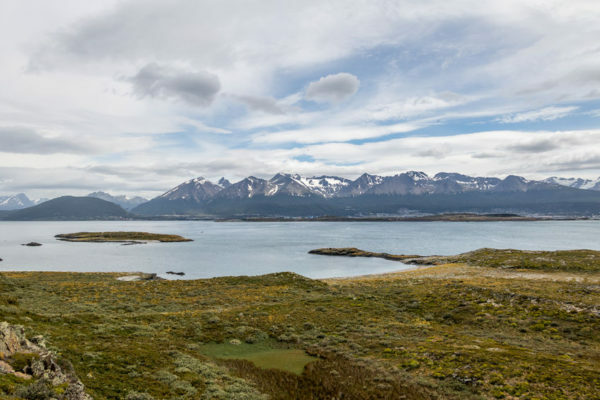 After coffee, we go for a hike to know more of this gorgeous island, crossing over beaver dams and through the forest to reach the Beagle Channel shore where we’ll take the boat to reach Puerto Harberton, and to hop back in our vehicle for the drive to Ushuaia. Transfer to the airport for your flight to Buenos Aires, connecting to Mendoza. Arrival in Mendoza. Outside of the baggage claim area, you will be met by our representative. He/She will be holding a sign with your name on it. You will then be transferred to your hotel. As Argentina’s fourth largest city, Mendoza is a bustling and energetic metropolis that basks daily in a perpetually warm and sunny climate. Mendoza also lies right underneath the highest peak in the western hemisphere, Aconcagua, which stands at a staggering 22,835 feet (6,960 meters) and is a part of the spectacular Andean scenery that graces the entire Mendoza region. Nestled within the majestic eastern foothills of the Andean mountain ranges, the dry and sunny Mendoza region is ideal for cultivating grapes used to make some of the finest wines in the world. 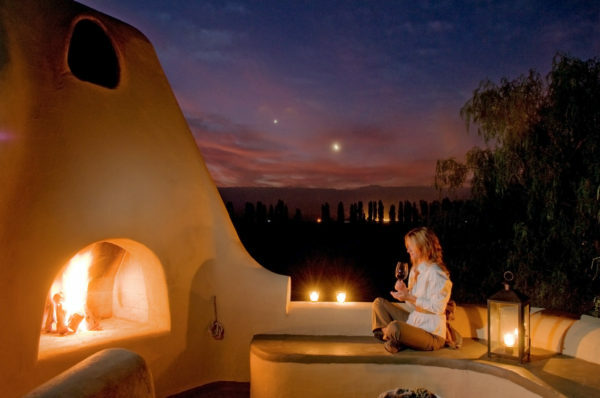 The city of Mendoza is known as the Wine Capital of Argentina. This morning, enjoy our exclusive Vintage Car Wine Tour at Bodega Santa Julia de Familia Zuccardi. Your afternoon is at leisure to enjoy the facilities of Cavas Wine Lodge or arrange for an optional tour. We created this program so you can visit our vineyards and appreciate the landscape in exclusive vintage cars. As part of the experience, you can taste our varietal wines and olive oils, and learn about the vinification process. Enjoy a full day Chachingo (Wine and Olive gastronomic experience). On this excursion we will visit the productive area of Maipú called Chachingo. “It is on the hill of Chachingo”, is the phrase that many Mendozans uses to refer to a very distant place, although there is no such hill, Chachingo is about 30 kilometers from the capital city, between the left bank of the Mendoza River and Videla Aranda street, between the districts of Rodeo del Medio and Cruz de Piedra, where we can observe many farms and some weekend houses. In the morning we will visit Laur. Founded in 1906, Laur was a pioneer in the establishment of olive groves in the province of Mendoza as well as in the production of olive oil. We will know the elaboration secrets, its history and we will taste its products: olive oil and balsamic vinegar. Next, we will visit Qualtaye who elaborate fine flavored cheeses of fynbo and Sardinian type. Its owners will show us the manufacturing process without preservatives and they will make us taste their cheeses. 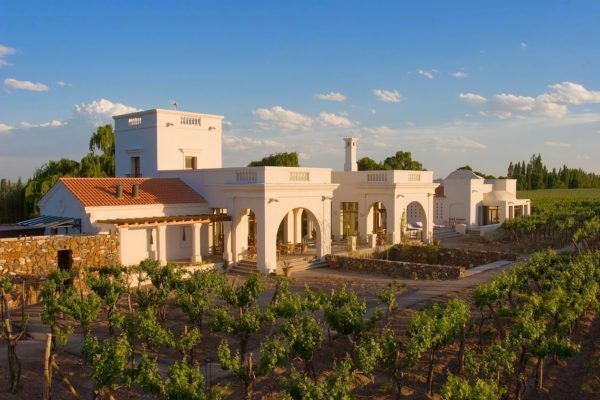 Finally, we will visit Casa El Enemigo by Alejandro Vigil, current and renowned winemaker of the Catena Zapata winery. Now with his personal project, he shows us his land and wine cellar “El Enemigo”, which has received multiple awards. We will have lunch tasting their wines before heading back to Mendoza mid-afternoon. Enjoy a full day culinary and wine experience in the exclusive high-altitude wine growing area of Valle de Uco. 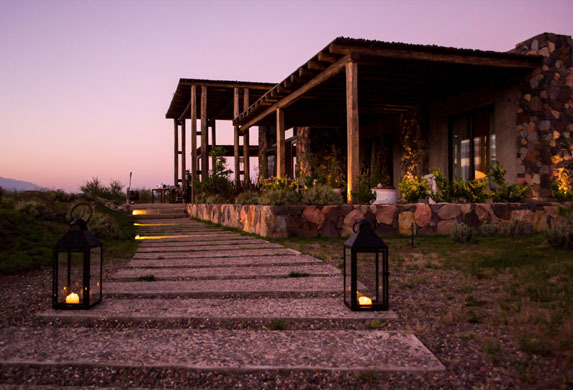 Enjoy a really hand-on cooking class at Bodega Andeluna, a state-of-the-art winery sitting beneath the imposing Tupungato volcano just south of Mendoza. Their cuisine philosophy is of constant change. 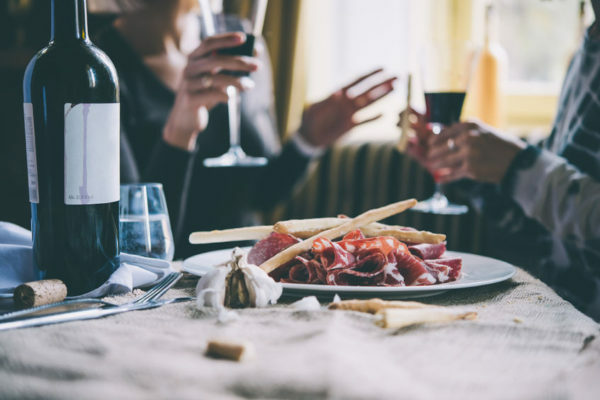 It combines the freshness of the products of each season and the delights typical of our country, inviting you to savor the flavors of Argentina’s seven regions. Today, learn with their chef how to prepare traditional recipes like “empanadas mendocinas” in the clay oven, meat and vegetables on the open fire with fresh chumichurri sauce, among other specialties, all spread out over a 6-course tasting menu. Then, we’ll taste during the lunch along with a selection of premium wines that complements each course. After a visit to Andelua, we shall visit a premium winery in the region for wine tasting prior to returning to Mendoza. Visit the Gimenez Riili Winery. Founded in 1945, Gimenez Riili is a winery that has embodied Argentine passion and excellence for wines for years. With a cozy winery run by a father and his Argentine sons (one Pablo Gimenez Riili, Co-Founder of The Vines of Mendoza), and focused on small production of Mendoza’s finest red wines as well as white wines worth fighting for, Gimenez Riili provides a gem of an opportunity to learn about Mendoza, its wine, and showcases passion for excellence. Enjoy an intimate guided tour and tasting. 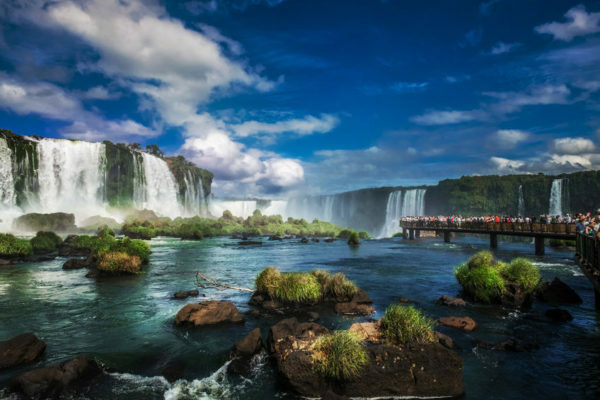 You will be transferred to the airport for your flight to Buenos Aires, connecting to Iguassu Falls. Upon arrival in Iguassu Falls, outside baggage claim, you will be met by the Awasi Iguazu representative. He/She will be holding a sign with your name on it. You will then be transferred to your hotel. Iguassu Falls are often heralded as the most beautiful falls in the world. The unbelievable and spectacular falls are a UNESCO World Natural Heritage Site. Upon seeing Iguassu for the first time, First Lady Eleanor Roosevelt reportedly exclaimed “Poor Niagara!” Vastly larger than North America’s Niagara Falls, the Iguassu Falls are made up of 275 separate cataracts that stretch for 2.5 miles, plunging 269 feet into the Iguassu River. Awasi brings you the Iguazú Falls as you have never before experienced them. 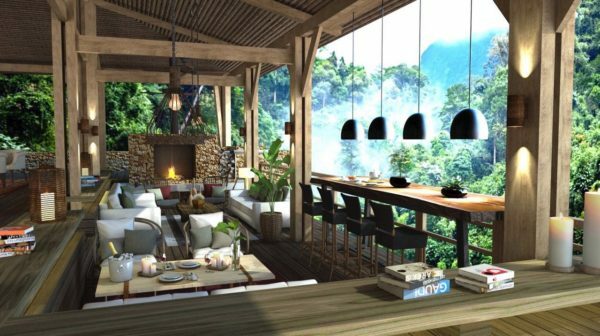 Located just 15 minutes from the world’s largest waterfalls, Awasi’s new 14-room lodge will open on Feb 5, 2018. 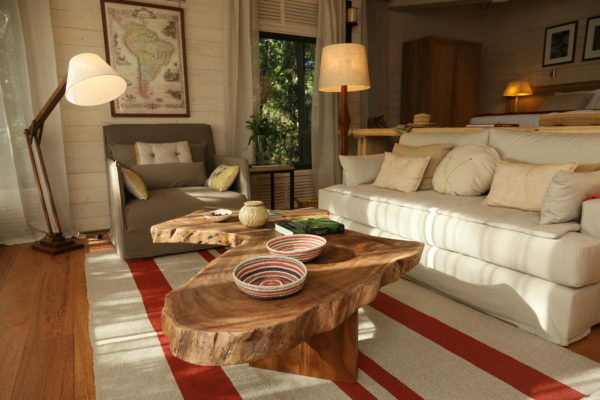 Situated on the banks of the River Iguazú, each villa will be assigned with a private guide and 4WD, allowing guests to explore at their own pace, visiting where they want, when they want, and for however long they want. TRANSFERS: Private vehicles from and to Puerto Iguazu airport. ACCOMMODATION: Excellent lodging facilities in private VILLAS. MEALS: A complete culinary experience at our Restaurant, featuring the best local ingredients. We pride ourselves on customizing the culinary experience for each guest based on their preferences. BEVERAGES: open bar of Alcoholic and Non-Alcoholic beverages. PRIVATE EXCURSIONS: A 4×4 vehicle and a private guide to design the excursions that best suit your preferences and interests. You may choose between full-day excursions with lunch included (from 4 to 6 hrs.) Or two half-day excursions (between 2 and 5 hrs.) returning to have lunch at Awasi between both excursions. TAILOR-MADE SERVICE: At the time of making your reservation, an Awasi Reservations Assistant will be in charge of coordinating the details of your trip, taking your interests and expectations into account. Continue with your 3-night Awasi Iguazu experience. Naturally, the highlight of your stay is the Iguazu Falls which you will visit with your private Awasi guide. Said to be one of the seven natural wonders of the world, the Iguazú Falls are spectacular to behold. Stretching for almost three kilometres spanning Argentina and Brazil, this immense mass of water is the world’s largest waterfall system. Of course, most people come to this corner of the world to see the falls, but there are many more sights to behold when you find yourself in this neck of the woods. Your stay will include a series of additional excursions that go beyond the falls. From landscape to history, flora and fauna, the Misiones Province is a melting pot of contrasts and diversity. Visiting archaeological sites, trekking through the jungle, bird watching, taking a boat ride for a sunset picnic… and this is just a dip of your toe into the potential of the area. Whims, wishes, wants… it’s your holiday so craft your own adventure with the help and support of your very own private guide and vehicle. After a day spent exploring the impressive natural scenery in and around the Iguazú Falls, guests will return to Awasi for a swim in their plunge pool, a drink at the bar in the main lodge and long evening meals in our restaurant. Enjoy your morning to relax or take in a final excursion. 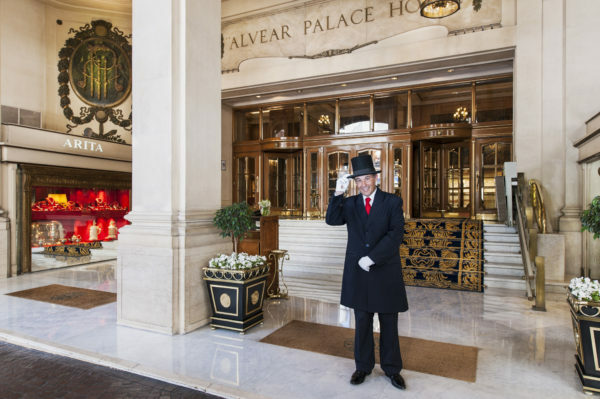 Your private Awasi guide will then transfer you to the airport for your return flight to Buenos Aires. On arrival, you are met by our representative and transferred from the domestic to the international airport for your overnight flight out of Argentina.